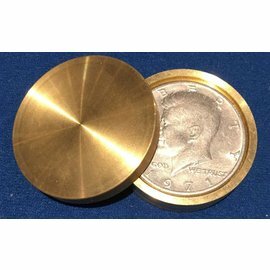 Deluxe beveled 2 coin box!Beautiful Brass. 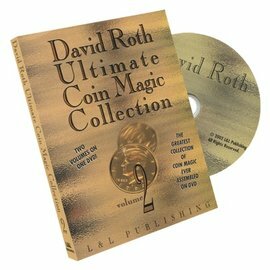 Beautiful Sleight of Hand! 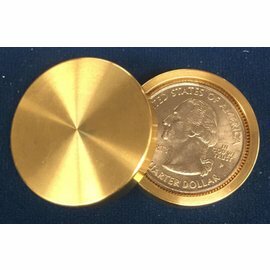 The famed Okito Coin Box for US Half Dollars in a streamline version. 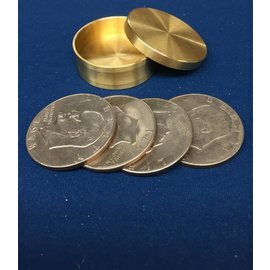 This Sleek Okito Box holds two coins, instead of the usual four. 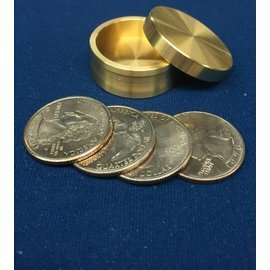 It fits better in your Coin Pouch and your pocket. Includes velvet drawer string bag. 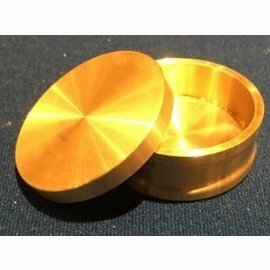 This deluxe beveled coin box is made from solid brass and is finely crafted. This new curved design is for aesthetics as well as for ease of manipulation. 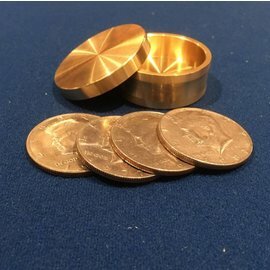 Coins seam to appear and vanish from the box at will. This is a professional prop and there are many ways to handle this item. 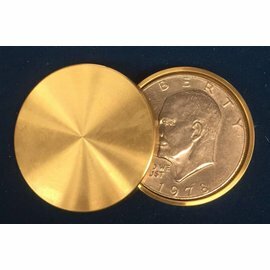 This product is supplied one basic routine for a single coin box penetration. 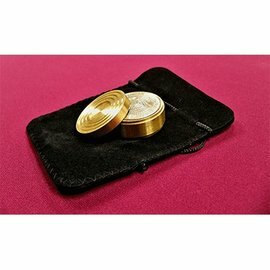 Please refer to The Traveling Coins for one of many options as to how to get started with the Okito Box. 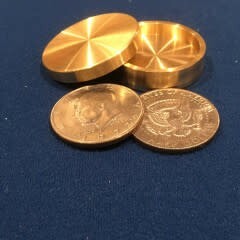 Be on the look out for our special Laser Etched Lids.